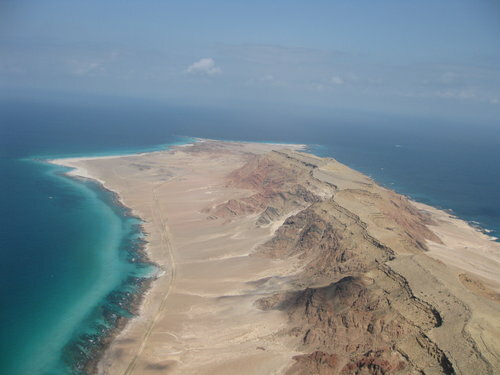 Eastern end of the island Socotra / Yemen. Picture taken in 2012 when flying a paraglider. I think with this sentence he has caught an essential element of why to travel. By travelling one is introduced to the incredible diversity of the world. Once you leave the environment you are familiar with you start realizing the variety which exists and the different circumstances others live in: Different landscapes (wet or dry, mountainous or flat), differences of cultures, religions, way of life, costumes and values. Differences in how the two gender relate (e.g. one, two or three kisses on the cheek when meeting or not even being allowed to touch the hand of a women….). Coming from a rich country travelling also confronts you with the reality of poverty, violence and misery which - sadly enough - still exists in many parts of the world. Particularly in a time where some governments turn back to protectionism and pursue a policy of “my country first” it is important to be aware of, to accept and to respect diversity. Finally one realizes that many issues are interconnected and that climate change, ecological and economic problems affect us all. Taking up Jibril’s thought I am glad that my journey is providing me the opportunity to open up many more pages. In response to the above blog Elizabeth, another UN colleague me an email with the following Gikuyu proverb from Kenya: “Utathiaga augaga no nyina urugaga wega”, which means :"The person who has not traveled widely thinks his or her mother is the best cook." The Australian version of this wisdom reads: "You never ever know, if you never ever go".